Originating From The Historical Roman Era, Linear Is Now Considered To Be An Ultra-Modern Size Brick & Offers A Contemporary Look. Our linear brick slips have been sourced from award winning brick works. We purchase full size linear bricks manufactured by master brick makers and then get them cut down into brick slips and corner slips. Linear bricks slips are thin sections of brick that when installed replicate the look of conventional brick work. Originating from the historical Roman era, linear is now considered to be an ultra-modern size brick and offers a contemporary look. Linear Brick Slips have become an increasingly popular choice in interior and exterior design projects. 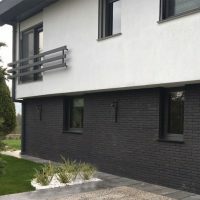 Favoured by Architects and those Designers searching for contemporary wall coverings, linear brick slips are ideal where people still want a real brick but modern facade alongside increased insulation performance and a reduction in wall thickness. Higgins Wall Decor Store caters for different tastes and creative minds. 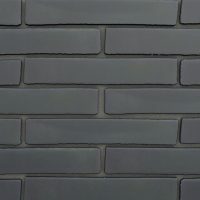 Linear brick slips are a quick and cost-effective way to replicate the look of a hand laid brick wall. Providing excellent durability and low maintenance, linear brick slips are ideal for clients of new builds or renovations looking for a contemporary look. They are easy to fit and point, improving the look of any wall. They can be used both internally and externally and are supplied as individual units to be fitted to most substrates using a suitable adhesive and then pointed up. With our innovative approach to design and current wall décor trends, we offer you our ranges of exciting brick wall finishes that will add value and ambience to your external and internal spaces. A Higgins Wall Decor Store choice will give you that look you’ve been after.